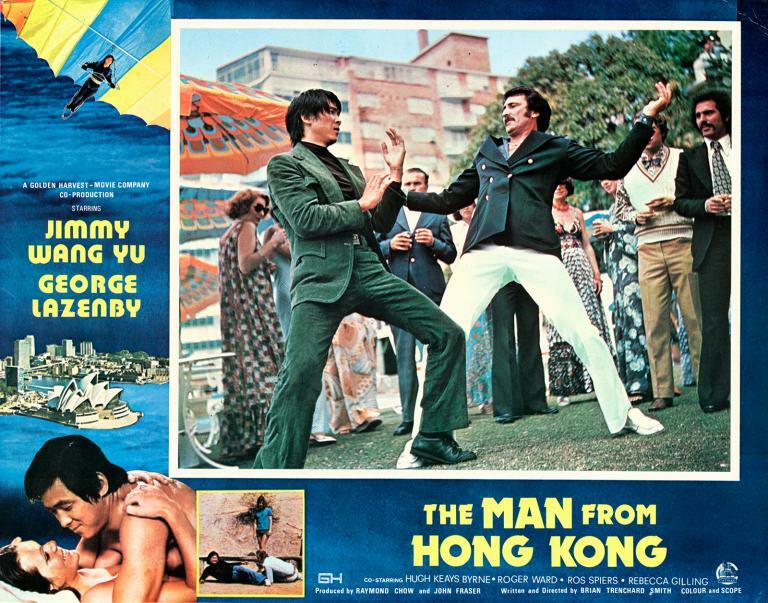 A cracking piece of Ozploitation as kung-fu cop Fang Sing Leng (Jimmy Wang Yu) hotfoots it from Hong Kong to Sydney to snuff out a drug running ruse that, it turns out, is being masterminded by mob boss Jack Wilton (George Lazenby), a man who is no slouch in the martial arts game himself. Now revered by, amongst others, Quentin Tarantino, Brian Trenchard-Smith's The Man From Hong Kong (1975) gave both Wang Yu, who had been pushed into the shadows by Bruce Lee, and Lazenby, who had rather pushed himself into the shadows by quitting as James Bond in 1969, a welcome leg-up. Wang Yu was in fine fighting form and Lazenby, who was already trained in Taekwondo, proved to be a natural, enthusiastically taking on most of his own fighting scenes and stunts. Notable too are what some would have as the best car chase scene ever, Jigsaw's soaring Sky High (see the clip), which nicely sets the scene with the opening credits, and the fine wardrobe, not least Wilton's classic, of-the-period double-breasted blazer, which we noticed and took some inspiration from when we were putting together our current, '70s Hong Kong inspired Enter the Dragon collection.